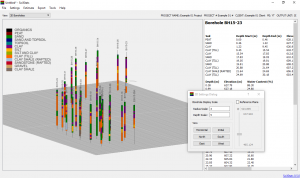 SoilStats provides an intuitive way to analyze geotechnical borehole logs in gINT format, MDB format and XLSX format. 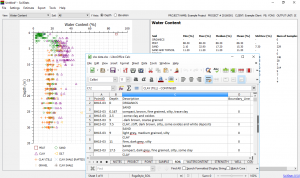 It automates data summarization and borehole visualization. 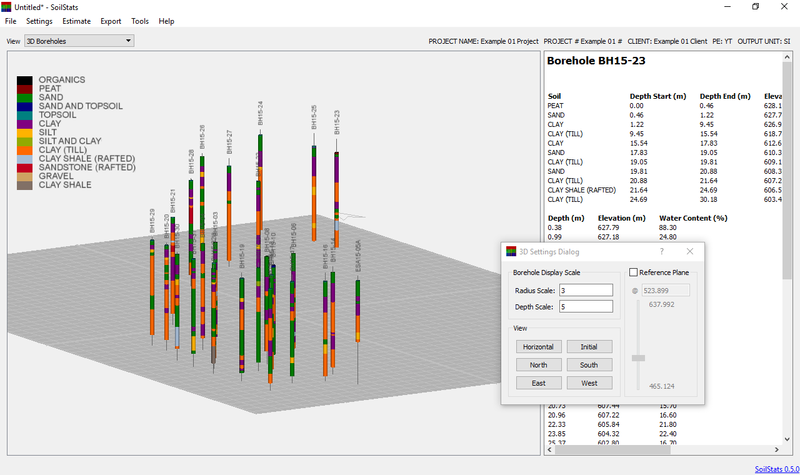 SoilStats provides engineers with an innovative way to significantly reduce geotechnical report preparation time. 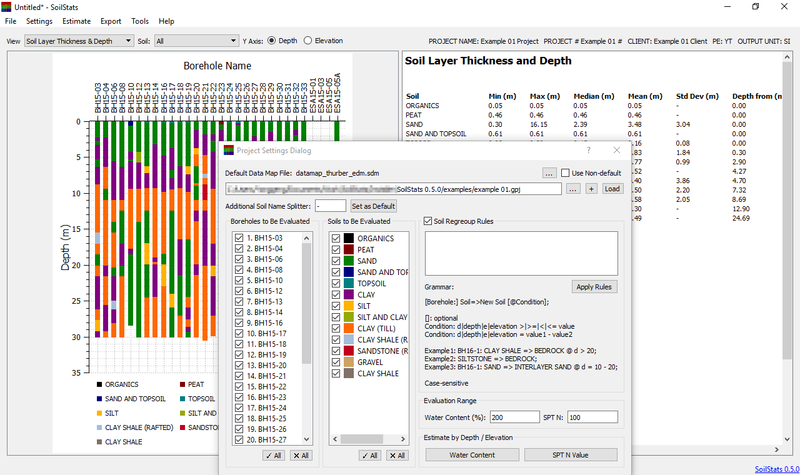 Flexible data map mechanism allows SoilStats to be able to analyze different gINT files generated with different templates, MDB files and XLSX (Excel spreadsheet) files input manually or exported from other borehole log software in the market. 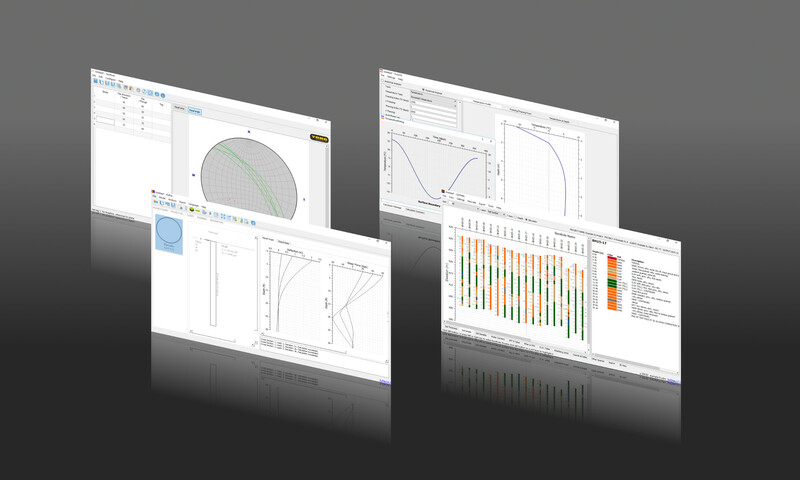 Example files and XLSX file template are provided in the program bundle. Any questions please don’t hesitate to contact Yong. When I trz to start app, it says “api-ms-win-core-rtlsupport-l1-2-0” is missing from your computer. Try reinstalling the program to fix this problem. Delete msvcp140.dll and vcruntime140.dll from SoilStats folder. 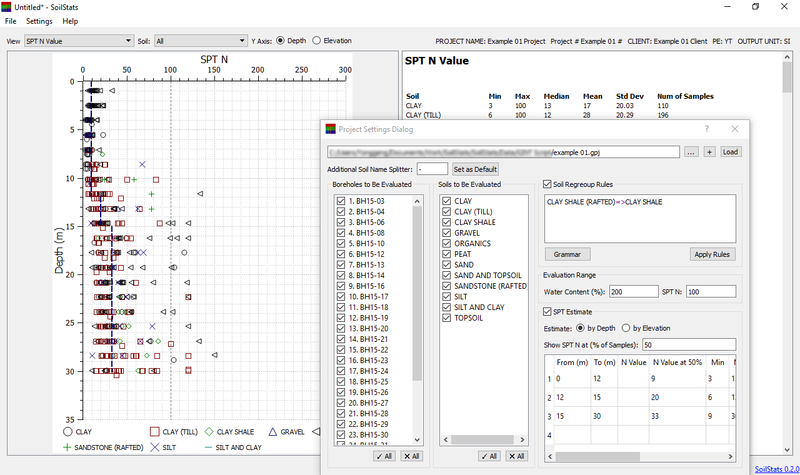 I have done that … unfortunately SoilStats works only if C++ 2015 x86 is installed, but I need x64 version for other programs. When both versions are installed, SoilStats crashes immediately. Can you fix this please? Machine is Win7 x64. 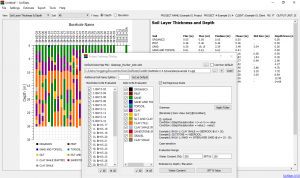 Can you try to copy the msvcp140.dll and vcruntime140.dll of your c++2015 x86 redistributable to the SoilStats folder? Generally, x86 and x64 redistributables should be able to coexist. Dear Yong, can you please help me to find c++2015 x86 redistributable folder where mentioned dll are located? I cannot find them? You may be able to search and find the files in your computer. Hey, could I give information on costs? I’d like to know before installing. It is free to use it for now. 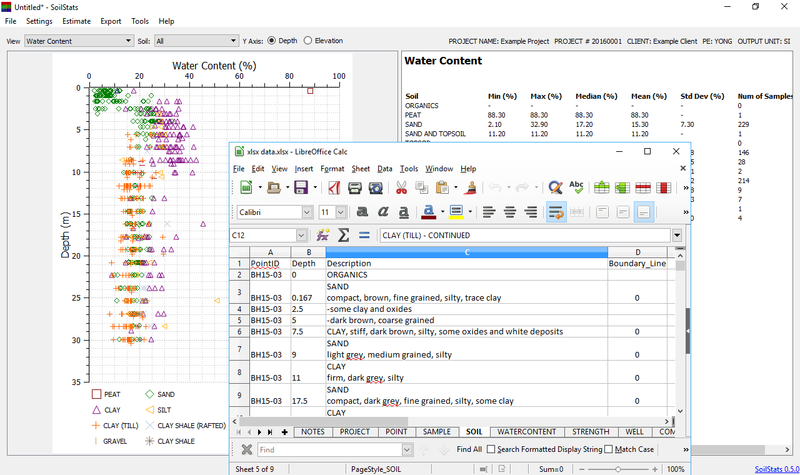 But you need to send me a typical data file so that I can create a data map file to let SoilStats know your data format. Users can generate their own data map file using data map file creator with SoilStats 0.7.0. How do you make a data map file? 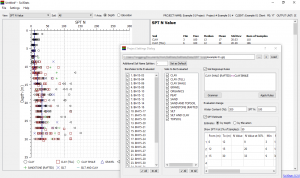 I can’t seem to change the data map from the example format using the Data map file creator. If you don’t mind, please send me a typical example gINT file. I can create a data map file for you.